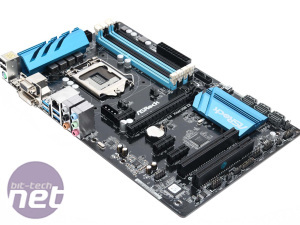 It's been pretty clear from our testing of Intel Z97-based motherboards that cheaper models perform and overclock just as well as those costing close to £200. 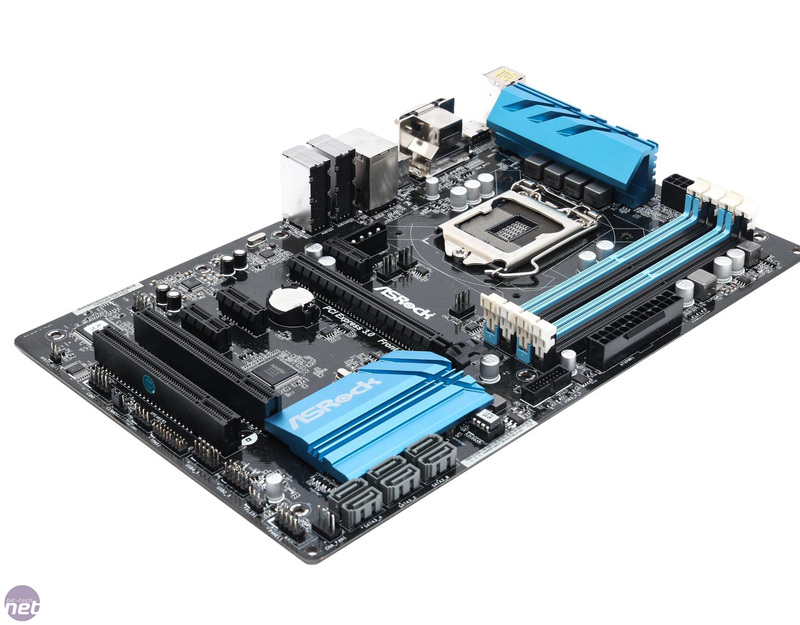 In fact, many of the most popular motherboards over the years have been cheap, overclockable ones for the simple reason that more than a few people aren't fussed by all the extra paraphernalia that motherboards seem to come with these days. If that's you, then you'll probably want to keep reading about the ASRock Z97 Pro 3. 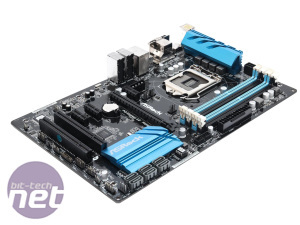 It's a super-cheap motherboard as far as Z97 goes, costing just over £70. Clearly, though, this doesn't buy you much in terms in terms of creature comforts and it's not much of a looker either, despite some snazzy blue heatsinks. 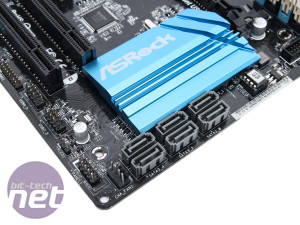 The skinny PCB is only a little wider than a mini-ITX motherboard but ASRock still manages to cram in the essentials. 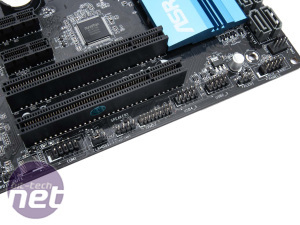 There are two PCI slots - these are often absent on motherboards nowadays but could be useful if you're keeping costs to a minimum and transplanting an old sound card, for example. There are also three 1x PCI-E slots, with one located above the 16x PCI-E slot. 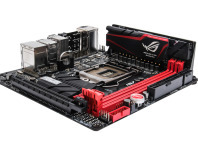 There's only one of these so SLI or CrossFire are off the cards. 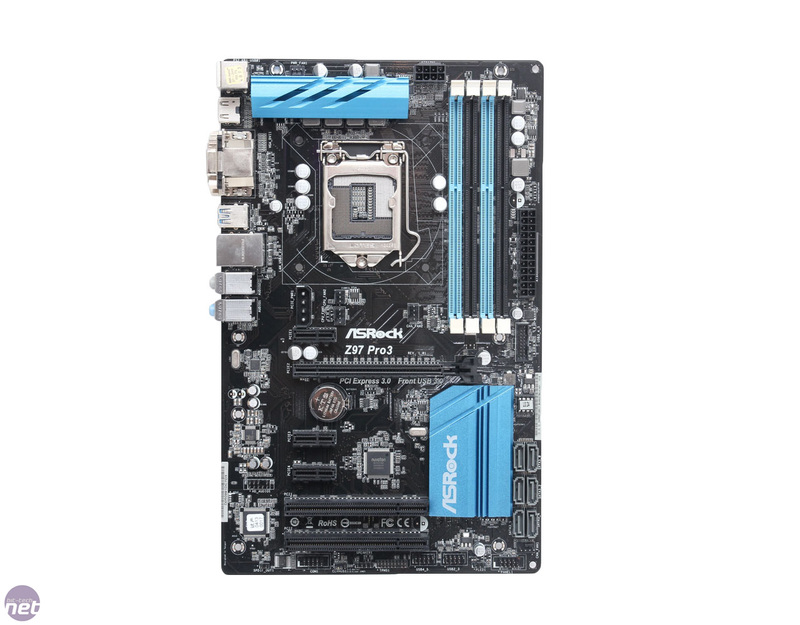 Layout is pretty good with all the major ports located at the edge of the PCB, including the six SATA 6Gbps ports and USB 3 header. 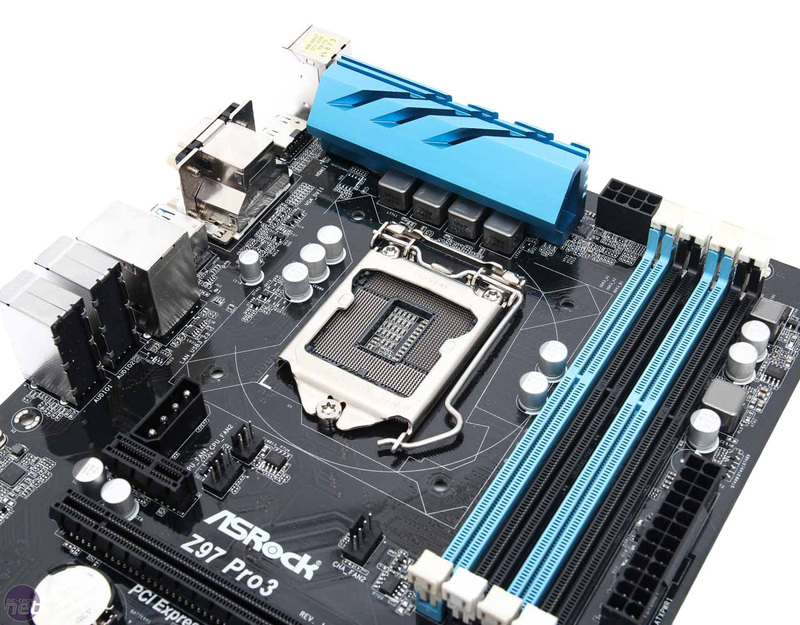 The only fly in the ointment here are the fan headers, three of which are located in the middle of the PCB. Admittedly the CPU fan header is fine here but connecting case fans could look messy. 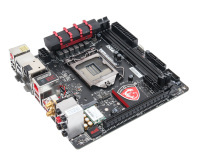 Oddly, there's a 4-pin molex connector here too - the manual says to use it when installing three graphics cards. 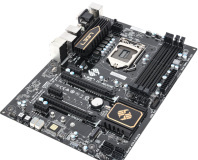 With only one 16x PCI-E slot, your only option would be to use some pretty dire graphics cards here so we're not sure why this found its way onto the PCB. 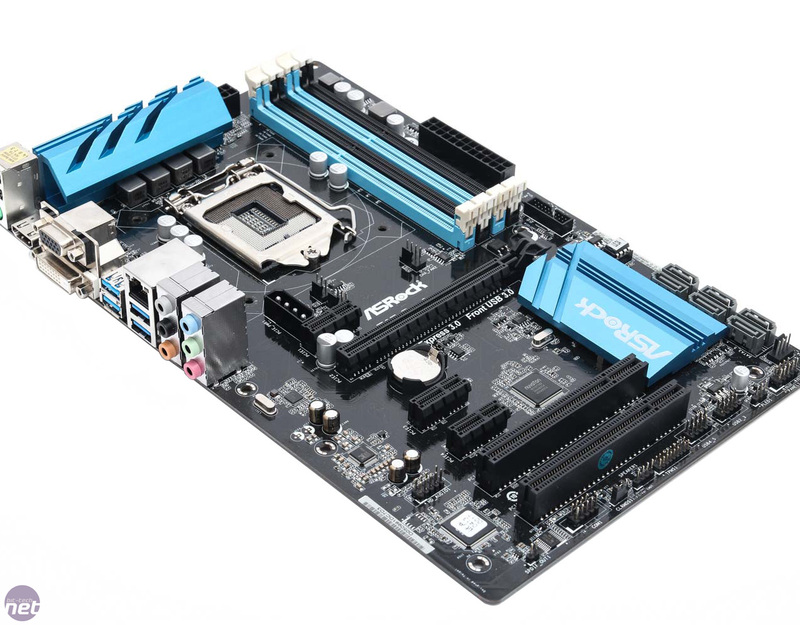 Even so, there's plenty of scope here for building a decent system and the lack of 16x PCI-E slots isn't likely to bother most people. 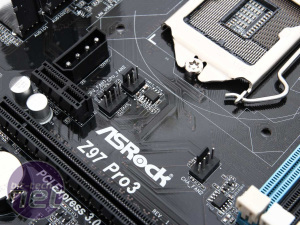 There's no isolated audio circuitry, though, which is a popular addition on £100+ models from all manufacturers and the audio processor is your average Realtek ALC892 Codec too so those 1x PCI-E slots or PCI slots may well come in handy for audiophiles. 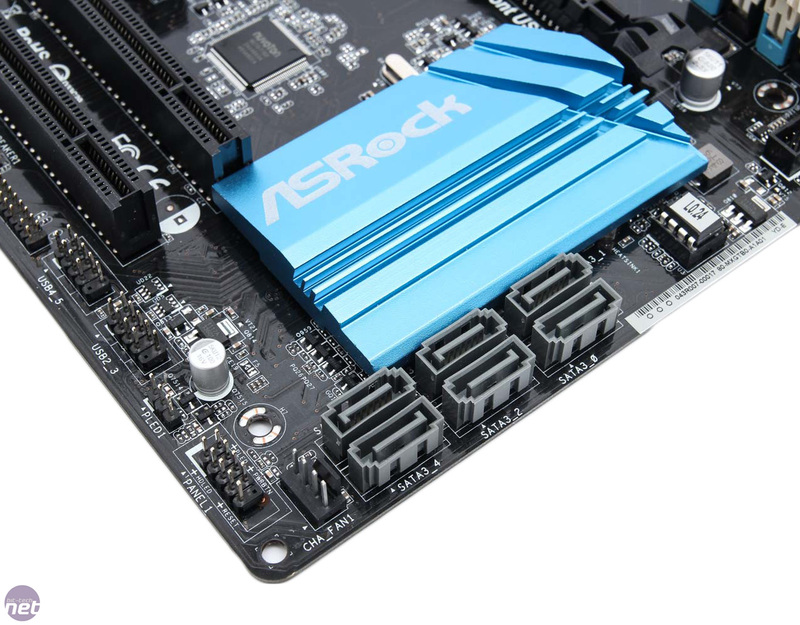 Unsurprisingly there are no overclocking tools to speak of and the rear I/O panel is pretty spartan too. 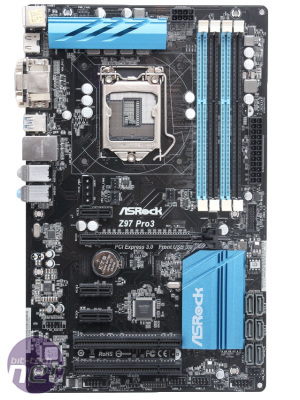 There are four USB 3 ports and two USB 2 ports - probably a bare minimum these days while an optical-out for the on-board sound is absent as is a DisplayPort, although you'll likely be using a discrete GPU anyway.